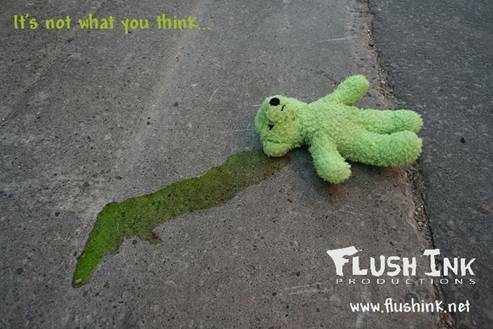 Flush Ink Productions is now incorporated as Flush Ink Performing Arts. It is a company of actors, directors, stage managers, et al. It includes all the people involved in the production. During the production meetings, the rehearsals, the performances, the parties, and after the tickets are swept from the floor…or sidewalk, everyone remains like family. Now, it includes a board of directors, who are the same, like-minded people we’ve always worked with. about an hour west of Toronto.